One of the most striking scenes in Star Wars: A New Hope sees Luke Skywalker looking out into the distance as two suns set on his home planet of Tatooine. It's a strange and exotic moment, one that continues to be a prize shot in the original trilogy. Well, science fiction is being trumped by reality, as scientists have discovered a planet that orbits three suns. Estimated to be 340 light years from Earth, scientists say this mysterious world, officially dubbed HD 131399Ab, is unique because of how close it is to its stars. Scientists have stumbled upon multi-star systems before but this one is something they never expected to find. Computer simulations have revealed just how precarious of a situation the planet is in. One tiny change in orbit and things would become very unstable, likely flinging the planet out into the ether of space. If you were to live on such a mind-boggling world, you'd either experience constant daylight or triple sunrises and sunsets; it all depends on the season. Kevin Wagner, who discovered the planet, said the three stars would be visible in the sky for about 550 Earth years, or half of HD 131399Ab's orbit; the other half would see the suns rise and set together, just as our sun does here on Earth. 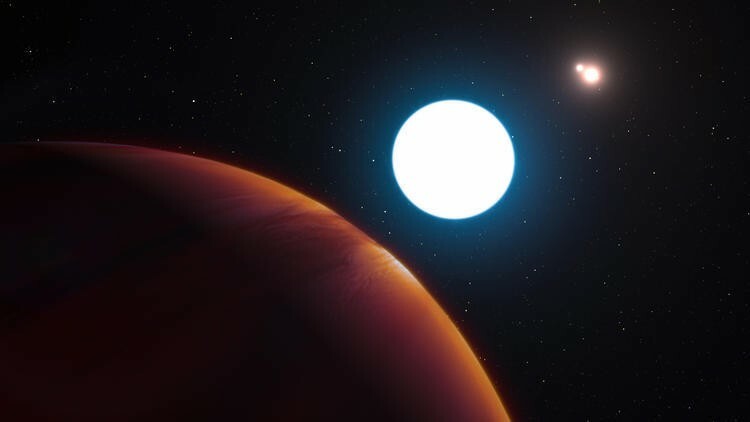 "This discovery shows us that planets can form or evolve into these almost unstable systems that previously almost seemed like science-fiction," Wagner said.